A bit like Sky Watch Friday, all different but special in their own way, link to see the hundreds of other posts from around the globe. 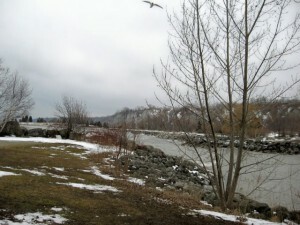 Photo from Scarborough Bluffs Canada on a very chilly winter’s day with lots of low cloud, mist, fog and frosty breezes. 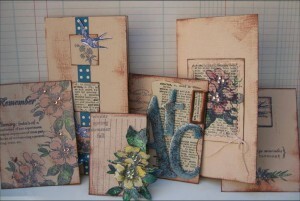 A sampling of ATCs, Moos and cards classes we are teaching over the next few weeks. Gloomy but intriguing. I really like the "feel" of this photo. Many English days look like this too, each season has it’s great beauty. Wonderful photo! Good pick for SWF, I am glad to see I wasn’t the only one up to post early, LOL. It does look very British in light. A real beauty. Love this photo. Very nicely composed shot. This is very eerie, but I love how you have captured this atomshpere just perfect. Great photo. Happy SWF. I like this photo–it has a mood that I just love. Gosh, that’s pretty! Makes me a bit "shivery" to look at what I know is a cold landscape, but beautiful! Nice Sky Watch! Oh wow, this is the scene we had on labor day over on the east side of the mountains. I’m strange; I don’t mind the snow too much. Well, how nice to find your great blog right over there in Australia. Great photos and I must also try a Skywatch Friday. Not sure if my little camera is up to it but am going to have a try. It is spring here as it is in your nick of the woods and the sky is a bit hazy with dust thrown up by late autumn/early spring winds. Have a good weekend. Eleanor over at Thatchwick. 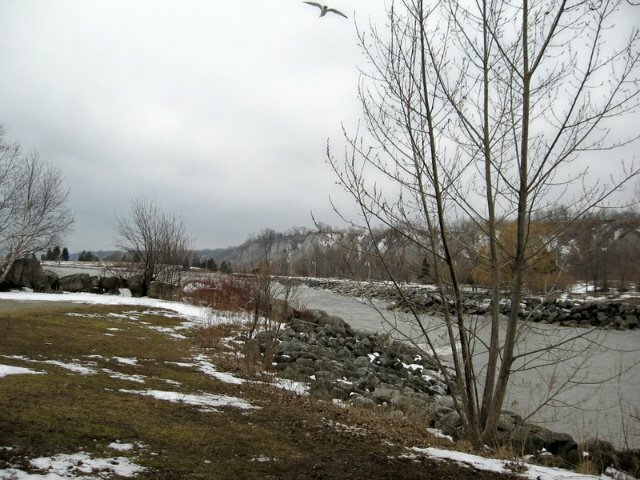 Pearl: Nice capture of the winter Sky reminder. It looks so different from our subtropical area and rivers. It looks very austere but still very beautiful;it really emits the cold of the season which you have captured with your picture. I turned into a Dewdropcicle just looking at this picture. Brr… you certainly captured the essense of the shot! You have captured winter perfectly – cold, bleak and beautiful. Well done! This is why I love winter! Beautiful job Pearl. reminds me of the winter that is just around the corner….gave me chills. Great pic all the same! So refreshing for me as I await three hurricanes here in CT! The photo reminds me of a dreary day in February in the mountains near where I live. The hint of spring &amp; warmer weather but still the dead of winter. <BR/>Thanks for the note on my blog. If you&#39;re missing pumpkins, you could always paint a rock to look like a pumpkin. ;~)<BR/>Have a wonderful weekend! Beautiful winter picture, I like the bird in it. Nice cards, photo, blog and all. Pretty Cards, where do you teach? Love your cards and ATCs. And your photos are wonderful! Leave a Reply to Jen r. Click here to cancel reply.